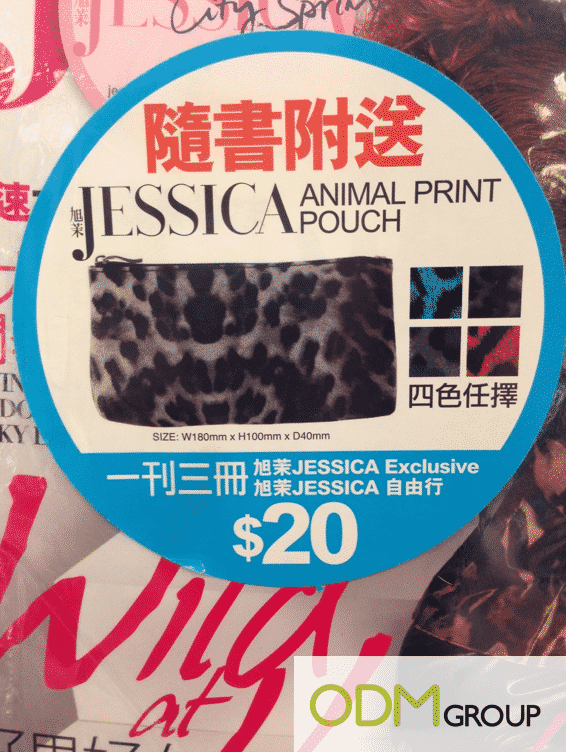 Only available for the month of October, 旭茉JESSICA Magazine is offering a free animal print custom pouch with the purchase of the magazine! The custom pouch comes in a selection of four fabulous fall colors and so you certainly will be spoilt for choice! This promotion was found in a Circle K convenience store in Hong Kong so head down to the nearest outlet for your custom pouch now! 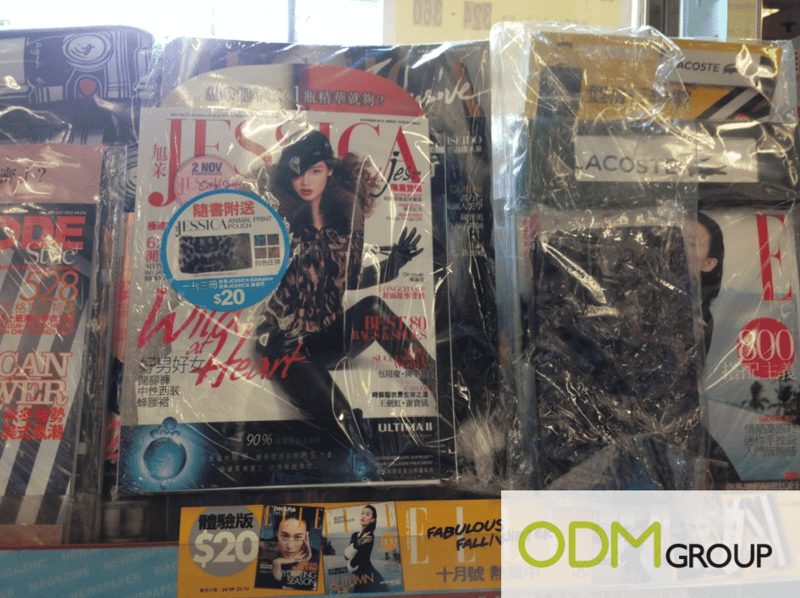 旭茉JESSICA is a magazine owned by South China Media and since its debut in 2000, it has become Hong Kong’s top selling women’s magazine. The magazines features different sections on fashion, health, beauty, career and lifestyle. The emphasis on these sections has made it the top publication choice for executives and professional women in the city. Why offer a custom pouch as a free gift? Everyone loves receiving a useful promo gift that they can use repeatedly. Thus this custom pouch makes an excellent on pack promo as customers can get a lot of use out of it! The custom pouch can be used on many occasions! Be it a pouch for a girl’s night out or a cosmetics/toiletries case when traveling, the usage possibilities are endless! As the pouch is so functional, magazine readers will definitely be thrilled to receive it. In addition to that, the custom pouch also has an interesting animal print design. This attractive exterior helps to capture the attention of passerby’s and might even entice them to purchase the magazine. It also helps the magazine to stand out on a shelf amongst the other magazines being sold in the store.